If you’re a vegetarian in today’s world, you are quite fortunate. 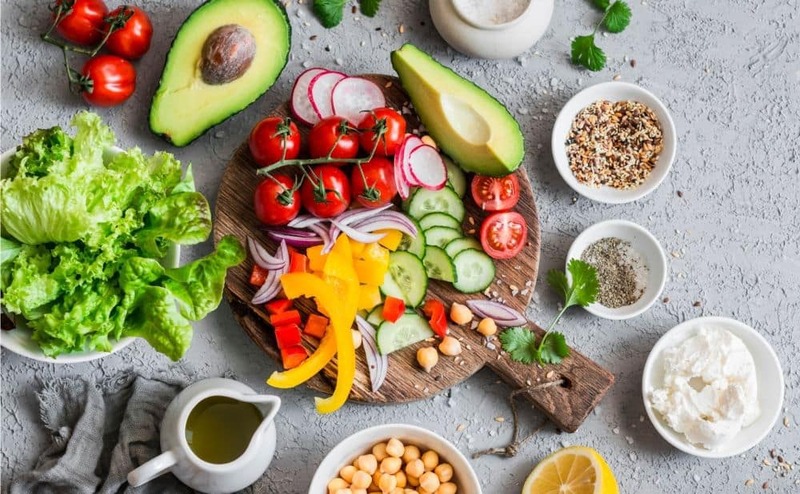 Because vegetarianism is growing exponentially in popularity, it is becoming easier and easier for those who want to stay away from meat to still be able to get really good, quality food. While you can always cook a vegetarian meal at home, it’s fun to go out to restaurants in Dulles Town Center and still be able to follow your vegetarian diet. At Cafesano, we make that incredibly easy. Our menu has a wide variety of vegetarian options that will give you all the nutrition that you need, without sacrificing flavor and quality. 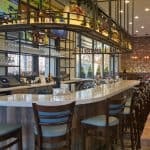 Read on to learn about how our menu at Cafesano provides vegetarians the ultimate Dulles Town Center dining experience. Whether you’ve already made the decision to become a vegetarian, or are considering dropping meat from your diet, this is no easy decision. Whatever your reason for becoming a vegetarian — food allergy or sensitivity, animal rights, health benefits, etc. — it takes not only dedication to be a vegetarian, but also some research and planning. When you cut out the protein and the fat that animals provide in the human diet, you want to make sure you’re replacing those nutrients. So, let’s take a look at some of the ways vegetarians can stay healthy without eating meat. Protein is one of the biggest concerns for vegetarians. Since meat is packed with protein, meat-eaters don’t really have to think about making sure they’re getting enough protein. That’s not the case for vegetarians. And protein is absolutely necessary to have in your diet — it is required for your muscles to grow. But getting protein as a vegetarian is actually quite easy. Foods such as nuts and nut butters (think almonds, cashews, almond butter) are great ways to get protein. Additionally, legumes are absolutely key to a vegetarian’s diet (think beans, hummus, lentils). Thankfully, Cafesano’s Dulles Town Center restaurant provides plenty of protein options for vegetarians. 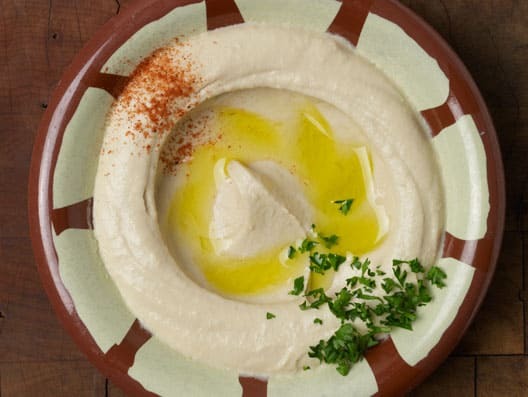 Our popular Hummus appetizer is full of chickpeas pureed with tahini, fresh lemon juice and garlic. Our Hummus & Greek Salad Wrap takes our protein-packed hummus and wraps it up with tomato, cucumber, kalamata olives, green peppers, and more! Or try our Falafel, as an appetizer or Wrap. Falafel is made of finely ground chickpeas seasoned with onions, garlic, parsley and spices, lightly fried, and served with tahini sauce. Meat typically comes with some fat attached to it — more for things like steak, less for things like chicken and turkey. Fat is something everyone’s body needs. Fat feeds your body essential fatty acids and also helps it to absorb other nutrients it needs. Be sure you know the big difference between good fat and bad fat. Bad fat is what you’ll find in greasy food, and that type of fat is not what your body needs. Rather, as a vegetarian, you want to feed your body healthy fats. Great sources of healthy fat include nuts, nut butters, olives, olive oil, and avocados. 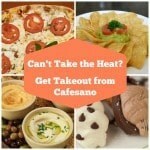 At Cafesano you’ve got more sources of healthy fat than you could ever imagine. 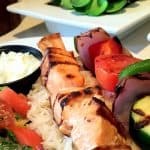 As an Italian and Mediterranean restaurant in Dulles Town Center, we pull the best foods from both cultures to create a menu that is full of healthy food, including good fats. If you’re a vegetarian in search of healthy fats, try our Avocado Dip appetizer. 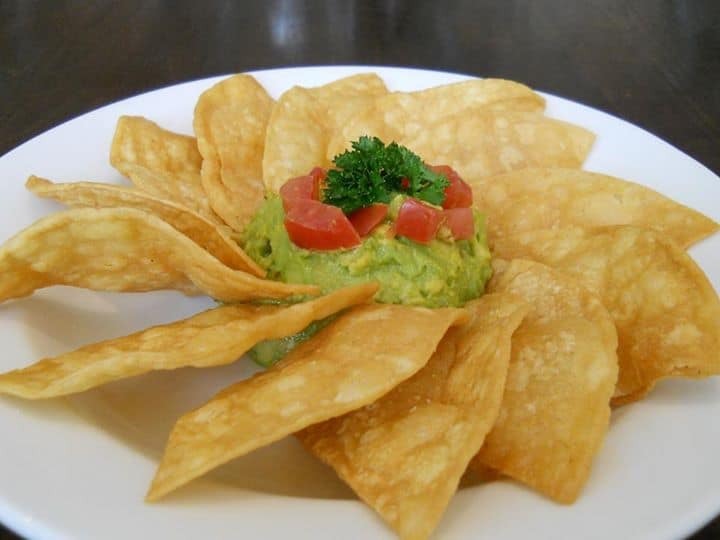 The healthy fat of the avocado paired with our homemade tortilla chips is a great way to start your meal. Then, follow that up with our Bianca Insalata pizza, made with fresh mozzarella, caramelized onions and EVOO and topped with arugula, tomato, red onion and kalamata olives.. Consider pairing your pizza with our Signature Salad. Full of romaine, artichoke, tomato, cucumber, kalamata olives and red onion, this special salad is topped with fresh slices of avocado and comes as either an entree or side salad. Calcium is something that your body needs in order for you to maintain strong teeth and bones. And vitamin D is required for your body to absorb the calcium you need. So, as a vegetarian, you want to make sure you’re incorporating plenty of calcium and vitamin D into your meat-free diet. 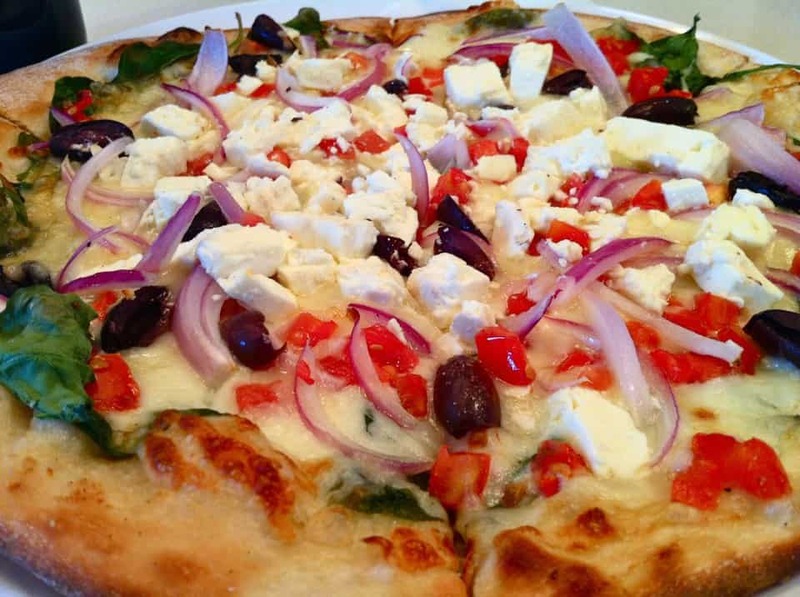 Dark greens, milk, and dairy-based foods are all great sources of both calcium and vitamin D.
Try our Greek Pizza made with fresh baby spinach, kalamata olives, red onions, tomatoes, arrabbiata sauce and fresh mozzarella and feta cheeses, which actually offers a triple dose of nutrients — calcium, vitamin D, and healthy fat. Or, you can always count on pasta for calcium. When you’re at Cafesano, order the Fettuccini Alfredo for a plate full of delicious, calcium-rich Alfredo sauce over fettuccini! Iron is something everyone needs in order for their red blood cells to remain healthy. However, according to Mayo Clinic, “iron isn’t as easily absorbed from plant sources.” Thus, it is recommended that vegetarians take in twice as much iron as meat-eaters to ensure they’re getting the sufficient amount. Foods rich in vitamin C are great for helping your body absorb iron, so, as a vegetarian, try working a lot of citrus fruits, berries, tomatoes, cabbage, and broccoli into your diet. You want to do this while also eating iron-rich foods such as peas, lentils, whole grains, and dark leafy green vegetables to get the most benefit. While it may sound complicated to find pairings of both, don’t worry — we’ve got you covered at Cafesano. 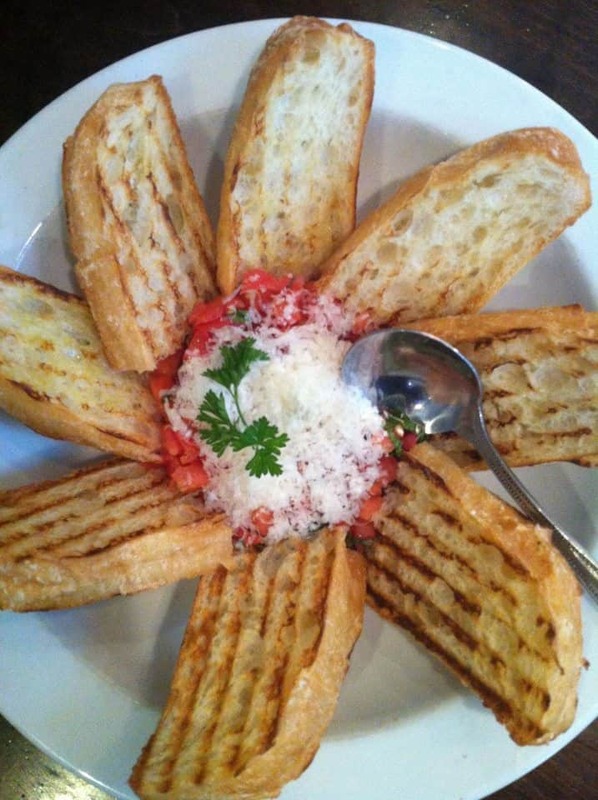 We recommend starting off with the Tomato Bruschetta appetizer with tomato, basil, garlic, and more atop a grilled ciabatta. You’ll cover both your iron and vitamin C requirements. Or, give the Pasta Marinara over whole wheat penne a try — this dish is certainly not short of tomatoes or whole grains. Rest assured that the above menu recommendations are only a small sampling of the vegetarian options available at Cafesano. 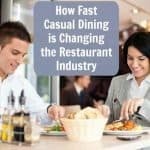 Best of all, you can decide whether you want to dine-in or use or convenient take-out service. Last, if you’ve got an upcoming party or business event, Cafesano offers vegetarian catering. You can opt for a fully vegetarian menu, or a regular menu with plenty of vegetarian options so you’re sure to have something for everyone. Can’t take the heat? Get takeout from our kitchen! This entry was posted in Northern Virginia's Best Restaurants, Restaurants in Dulles VA by Cafesano. Bookmark the permalink.